I am inclined to respond by asking, "What took you so long?" As Machen observed the better part of a century ago, the "liberal Jesus," who told people to be nice, made few ostentatious claims about himself, and having died, remained politely in the grave, never was so very plausible. Morton Smith observes that not only every Gospel, but every layer of Gospel material, portrays Jesus as having worked miracles. And by the standards of David Hume (Law begins his paper with a quick bit of what John Earman has called "genuflecting at Hume's altar" [Earman: 2000, Preface], speaking of Hume's allegedly great contributions to the debate over miracles), one cannot countenance anything that smacks of a miracle, or anything in the neighborhood of a miracle. But in my opinion, Law does not understand what a miracle is (neither does Hume), and therefore literally doesn't know what he is talking about. Nor has he fully taken in the empirical nature of the Gospels, and the quality of the evidence they carry. He may even have overlooked some important matters going on in the world today. For these reasons, his critique, I will argue, fails. Indeed, his critique helps shed light on the uniquely persuasive character of the Gospels. Law argues mainly from philosophy and by analogy, rather than historically. I have explained my historical reasons for believing the Gospels in detail elsewhere, and will not reproduce those arguments here, but will engage Dr. Law on his own terms, focusing on epistemology, common experience, and logic. I'll begin by sketching Law's overall argument (A), then describe five important errors he commits (B-F). This is a standard skeptical claim. (The first phrase, "where a claim's justification derives solely from evidence" may involve a misreading of Plantinga, but let's save that for another day.) Law cites Carl Sagan's famous "extraordinary claims require extraordinary evidence." He is also echoing Hume, who claimed there to be "uniform experience against every miraculous event." Nor was such language completely original to Hume, as Tim McGrew shows in an entry on miracles in the Stanford Dictionary of Philosophy. Law admits there's a bit of mystery circling around this word "extraordinary." Even more ambiguous is Law's use of this related word "miracle." That ambiguity, I claim, serves to ruin his argument. Bert flew around their sitting room by flapping his arms, died, came back to life again, and finished by temporarily tranforming their sofa into a donkey. Law tells this story at length, and returns to it often. In many ways, his paper might be described as "The Parable of Ted and Sarah." Law argues that he would be justified in disbelieving this story, despite his originally high appraisal of his friends' character. Why? Because of the "extraordinary nature of their claims." Furthermore, we have allegedly "acquired a great deal of evidence about the unreliability of testimony supposedly supporting such claims" as ghosts, fairies, and miracles. Law claims (without offering even anecdotal support; perhaps he is assuming that his readers have all read Sagan and believe everything he says -- but see my review of Sagan two posts prior) that stories about the supernatural are "constantly being debunked, exposed as fraudulent, etc." Of course, one could say the same about "stories about celebrities," or "stories about politicians," or any number of other categories. If one pays close attention, one notices that human reports of many kinds are frequently exposed as false or even fraudulent. The fact that a significant proportion of anecdotes involving celebrities are false, does not mean there are no movie stars, or that they never (say) have affairs, or murder their lovers. Law is taking an illegitimate shortcut, here. He believes miracle stories have proven universally discreditable, apparently, but does not take the time to explain why we should think so, too. Also, it is not obvious that the "extraordinary" nature of Law's parable is the only reason to reject it, nor that this is a clearly-defined reason at all. In fact, ambiguities in these terms "extraordinary" and "miracle" are large enough to drive small planets through, and through that porthole, Law has smuggled a dubious argument, as we shall see. Law's other two points may be explained more briefly. (2) Law calls his second point the "Contamination Principle." ". . . Most of the details we have about him come solely from documents in which the miraculous constitutes a significant part of what is said about Jesus, where many of these miracles (walking on water, etc) are unlikely to be merely misinterpreted natural phenomena, and where it is at least questionable whether we possess any good, independent non-miracle-involving evidence of his existence." Let me just point out that if this principle works, then so does the opposite principle. If, as I argue in Why the Jesus Seminar can't find Jesus, there are strong positive reasons to credit the honesty of those who wrote the Gospels, then that credility also "contaminates" the miracle stories, and renders them more plausible. (3) Law's third point is a series of arguments against three of the criteria by which historians often evaluate the Gospels, and find them largely historical. He seems to have read a handful of historians on the subject (Meier, Grant, EP Sanders, Luke Johnson perhaps) few of them very conservative (though he has read at least some of Bauckham), and does not consider, say, of N.T. Wright's principle of Double Similarity, Double Disimilarity. Since Law does not pretend to engage those arguments in much depth, and I think few historians would find the superficial discussion he does give the subject very persuasive, I will say no more about those points in today's blog, if ever. B. Ted + Sarah: What is a "miracle?" What is "extraordinary?" The first problem with Law's Argument From Analogy, is that the Parable of Ted and Sarah is strikingly out of sync with the Gospel accounts of Jesus, on precisely those matters that make for historical credibility. (1) Who was Bert? Law gives him no personality, no prior history, no special moral insight, no great sayings, no facial characteristics, family, hometown, occupation, sense of humor, wit or characteristic modes of expression. He seems no more "extraordinary" as a person than Joe the Plumber, or maybe Mario the Plumber, and far less real. Law gives us no context for the man at all, or any reason to care about him, nor context for his extraordinary deeds. What if this person Bert who rose from the dead in your friend's living room, were instead an innocent child killed by a stray bullet in a gang war, whose grief-stricken grandmother were praying frantically for him? Would that put Bert's resurrection in a different light? What if he were a great national leader and international political hero, like Gandhi or Martin Luther King, whose work might help bring freedom to millions of the oppressed? What if he were the one person who has changed the world for the better, more than anyone else? What if, to add more context, prophecies of a death and resurrection very like his own appeared, not only in his own culture (to the intellectual satisfaction even of geniuses like Augustine and Pascal), but even in cultures thousands of miles and millennia removed? Considering all these variations, a stalwart atheist might still find the idea that God would bring such a person back to life, incredible. But to construct a parallel without such important points of congruence, and give us this lifeless, cardboard figure of Bert instead, is simply to fail in constructing any kind of meaningful parallel. (2) Why did Bert fly? Law does not ascribe motive, either. To entertain his hosts after coffee? (Or other drugs of choice?) Or, perhaps, to save the life of a child stranded in a fire on the second floor? Why did he rise from the dead? To show dramatically, at the center of human history, that God takes the side of the oppressed against their oppressors, and fundamentally change how the whole world thinks about justice? To give human beings hope that Entropy will not, after all, have the last word? Or as part of the after-cocktail show? Again, the frivolity of Law's story discredits its relevance, and his own seriousness or perception in telling it. (3) How did Bert fly? Law says, by flapping his arms. That is no explanation, of course. The body of an adult man usually weighs more than 150 pounds. Our bones are solid, not hollow, like those of birds. Nor are our arms aerodynamic: they do not create "lift" when we run. Nor even if they do create some small lift, is there likely to be enough room in a homely cottage to attain lift-off velocity. Law offers no other explanation for Bert's after-dinner activities: they are, in fact, "extraordinary" not just in the sense of "unusual," but in the sense of "arbitrary" and "unexplained." According to the New Testament, God raised Jesus from the dead. That is to say, the Creator of gravitons, the four forces, quantum fields, and planet Earth, who oversaw, over billions of years, the production of life from non-life, sentient life from prokaryotes, chose at that moment, in the fullness of history and according to his ancient promises to Abraham, Moses and Isaiah, maybe Lao Zi too, to bring Jesus back from the dead. The hypothesis, again, is completely unrelated to Law's story. In all three cases, unexamined assumptions serve to dissipate the plausibility of the Ted and Sarah Parable by orders of magnitude, even while increasing the plausibility of Jesus' resurrection in similar exponential fashion. And we have hardly even mentioned the fact that Law made his story up, but Matthew, Mark, Luke and John obviously did not. (C) Could it be that much of the force of Law's argument, as with the Orbitting Teapot, the pink unicorn, the Spaghetti Monster, or other beloved beasts in the skeptical menagary, derives precisely from the silliness of the examples to which it appeals? Is this, indeed, simply a sophisticated form of mockery? Probably not. I believe Law is trying to make a serious argument. I think that argument fails, because he has completely failed to come to grips with the nature of NT miracles. * "Miracles ask to be verified; magic insults the intelligence." The claim that God has overcome death by raising a righteous man from death after being murdered by the Romans, does indeed beg verification, and Christians like William Lane Craig regularly verify it in debates with qualified opponents, often to the satisfaction of observers who consider themselves neutral. Law's story does, by contrast, deliberately and clumsily, insult the intelligence, as we have seen. * "Miracles tend to be practical; magic is often showy." There is nothing dignified about Bert's performance. But there is dignity in everything Jesus does in the Gospels, including in his miracles. "Magic refers to all efforts to manipulate supernatural forces to gain rewards (or avoid costs) without reference to a god or gods or to general explanation of existence." Ruth Benedict likewise defined magic as "mechanistic manipulation of the impersonal." Dr. Law provides a wonderful example of this contrast, as well. Bert's acts are random, maybe impress his friends, and cause no one to praise their Creator, or even (much) the story's creator. But observe how people react when Jesus calms the storm, or heals the man born blind, or raises the dead. On this point, too, Law provides a textbook contrast. Bert appears to be the "guy in charge" in Law's story. He's a magician, a character in an undeveloped child's story. Jesus, by contrast, is a very human person in some unique and trusting relationship with his Father, whose will he passionately desires to fulfill. Law seems to have simply overlooked the real qualities of New Testament miracles. So really, what is he talking about? How can a "refutation" of the Gospels by so intelligent and experienced a scholar prove so clumsy, so blind to the actual character of the texts he imagines himself debunking? "But whatever the mechanism is, it could, presumably, quite easily also be the source of the remainder of their narrative." "Whatever?" "Presumably?" This is Law's own argument. Shouldn't he try a little harder to make clearer sense of it than that? This all seems even more iffy speculation, given Law's own speculations about his own parable. If Ted and Sarah took LSD the night before their visit, why didn't Law notice any symptoms? Why did both of them imagine Bert doing exactly the same things? Do different people on LSD usually have identical hallucinations? Would LSD really be likely to produce the mundane effects Law listed -- a normally dressed man, at first engaging in normal conversation? In fact, on the LSD hypothesis, isn't it likely that the earlier part of the story -- involving a real and normal human being -- would be accurate, an experience that occurred before the acid took effect? So on that hypothesis, wouldn't it be more likely that even if miracles never happen, and the gospel writers were drinking Indian soma, the mundane aspects of their stories about Jesus would still be real? And on the Daytime TV hypothesis, why would talking to Law get them on TV? Is he also a television producer? And is there supposed to be some parallel between Ted and Sarah going on the tele, and Christians getting torn to pieces in the arena by lions for preaching Christ resurrected? One would think that if an incentive like fame explains why some people lie, a disincentive like death would imply just the opposite. Or are we only supposed to look for disconfirming motivations? Law just waves his hands here, and says, "who knows?" apparently to distract attention from the lack of seriousness he brings to his own argument on the question of motivation. "When you start with a bad counterexample as I think Law has, it seems like the argument then dooms itself to failure going forward." Which raises the question, why does Law start with such a weak parallel? And would better ones help? At the end of his paper, Law tells another story, about five people who are rescued from a desert island. They tell a story about a sixth person lived among them, who did all the supernatural things Jesus did. Would we believe those five people? He asks. At this point, one wonders, "If you're going to make up a story so similiar to the Christian story, why not just examine the Christian story directly? Isn't there a danger, again, of using these parables to simply paper over the genuine character of the historical and spiritual questions that are at issue in the Gospels?" The alternative, of course, would be to find good historical analogies to compare to the Gospels. The problem is, there aren't any. That's why skeptics often cite even weaker analogies like Apollonius of Tyana, the Iliad or Hercules -- Reductio Ad Aburdam parallels (again, please see Why the Jesus Seminar can't find Jesus) that save Christian scholars a great deal of trouble in proving our point. I flatter myself, that I have discovered an argument of a like nature, which, if just, will, with the wise and learned, be an everlasting check to all kinds of superstitious delusion, and consequently, will be useful as long as the world endure. Hume does, indeed, flatter himself here, and flatter himself baldly. But like many clever and inventive windbags -- Rousseau, Marx, and Richard Carrier come to mind -- millions of other people also flatter David Hume by taking such empty self-flattery all too seriously. The temptation to fashion such an argument is understandable. But it should be resisted. Any epistemology that does not allow for the possibility that evidence, whether from eyewitness testimony or from some other source, can establish the credibility of a UFO landing, a walking on water, or a resurrection is inadequate. At the same time, of course, an adequate epistemology should deliver the conclusion that in more (all?) actual cases, when all the evidence is weighed up, little credibility should be given to such events. Like Law and Hume, Earman also seems to be begging the question on behalf of materialism, here. But he does so more carefully, and without shutting the door to having his beliefs disproven. He does not seem to have become an internet sensation, like Richard Carrier, nor is his book likely to be remembered "as long as the world endures." But such prices one sometimes pays for showing a reasonable amount of good sense, and keeping at least one eye open to the possibility that there may be more in Heaven and Earth than is dreamt of in one's philosophy. (F) Are "extraordinary events" really so extraordinarily rare? They don't seem to be. Why is it that I run into so many credible people who recount events in their lives in private, like real miracles -- not the "flying Bert" kind -- that have changed their lives in concrete and positive ways, while atheists never seem to meet these people, but just the kooks? Part II: Law responds to some of my criticism, and I reply back. (1) So the thrust of your argument is that the existence of an historical Jesus is more plausible if and only if you already believe in a God has the characteristics ascribed to the Judeo-Christian God (YHWH)? For what reason should I believe in YHWH in the first place? Aren't Jesus's miracles supposed to be evidence *for God*? If I have to believe in YHWH in order to believe Jesus existed and performed miracles, then we have a heap of circular logic, ultimately proving nothing. (2) You impugn the story Law uses as being frivolous, but isn't the story of Christ ultimately equally frivolous in many details? Why does he go walking on water exactly except that he can? How is producing wine, an intoxicating substance, any less superfluous than if Bert had produced LSD from thin air to give to Ted and Sarah? Surely the minor embarassment of the family at their guests leaving the wedding insufficiently intoxicated is not a major humanitarian crisis. Because these miracles in the Bible are frivolous, should we be more inclined to doubt them? Are they more unlikely than Jesus returning the dead to life because the motivation is less sympathetic? (3) You've entirely missed the point of Law's analogy. He could, if he so chose, waste several thousand words recreating a story as detailed as the NT. He shouldn't need to for his point. Either miraculous claims are extraordinary or they are not. If they are extraordinary, then his argument applies in full force. If they aren't extraordinary, then surely you'd expect to see people turning water into wine and walking on water all the time today (without recourse to technology and scientific understanding unavailable in Jesus's day). Non-extraordinary events should be replicable, should they not? If they are only not extraordinary because Jesus is the 'Son of God', then isn't that latter an extraordinary claim which needs extraordinary evidence? This line of reasoning is not an explanation, its delaying an explanation. At some point you need to have to conjure this extraordinary evidence. (4) Specifically in response to your #3: How did Bert fly? Really? I suppose if, in contrast, the NT miracles are not extraordinary, then you can explain *how* Jesus walked on water. Or *how* Jesus turned water into wine. Or *how* he was resurrected. "God did it" is not an explanation. God could well have made Bert fly. "God did it" is not some unassailable fortress which ends all inquiry. If your brain turns off the moment you utter that, I think you need to remember who you are rebutting. "God did it" without further explanation is not an acceptable argument, even to many who believe, and certainly not to Law or most people who are going to be reading him. Squirrel: The thrust of my argument is to deconstruct Stephen Law's argument. Of course the resurrection is more plausible if God exists, though I don't limit Him to "the Judeo-Christian God." In fact, he is recognized in cultures on every inhabited continent, independently, which is one of the reasons to believe in Him. Sure, the resurrection of Jesus, and other miracles, are evidence for God. If there are other reasons to believe in God, as there are, that makes the Rez that much more probable, as the Rez makes the existence of God more probable. That's not "circular" in the slightest. The fact that you posted in my blog is prima facia reason to believe you exist. If we meet and you say, "I'm the guy / girl who posted," that's another reason -- bits of evidence reinforce and complement one another. (2) You stretch to find any stories in the Gospels that can in any way be called frivolous: the vast majority, obviously cannot. Why not just admit that fact? No, wine in ancient Palestine at a wedding is not at all comparable to LSD. Don't be silly. (3) "Either miraculous stories are extraordinary, or they are not." Not at all. As I explain, something can be "extraordinary" in one sense, and not another. One event can be inexplicable, arbitrary, senseless, and unevidenced, and extraordinary in those senses. Another might be none of those, yet lie outside of the common run of natural events. Perhaps it would help if you read that part of my post again. (4) Law did not give the explanation, "God did it." He gave no explanation. Nor is there any reason why God would want to suspend physical laws for the entertainment of Law's friends -- at least, none he has given. The miracles Jesus does in the Gospels, by contrast, make a great deal of sense. Surely you should be able to see that, and recognize the vast gap between the two cases. This is not mysterious: it strikes any sensible reader in the face. You talk about brains turning off, yet I wonder what yours was doing while you were purportedly reading my blog. There is very little evidence, from your post, that you were at all seriously trying to understand and engage with my arguments intellectually. It looks more as if you were just looking for excuses to miss my points. I responded to this back on Law's blog in an attempt to keep the comments in one place, so thought I'd point that out here. Paul: Thanks for letting us know. I'll quote your reply here, so people know what you're talking about, then respond in both places. I read David Marshall's rebuttal and was confused, in that it seemed to be addressing some argument other than Stephen Law's. Marshall says (section B) that if we had more context for Bert's activities, we should be more ready to believe them. This seems to be an example of the conjuction fallacy: it is not more probable that Linda is a bank teller and a feminist than that Linda is a bank teller, and it is not more probable that Bert flew and God made him fly than that Bert flew. More elaborate claims about Bert (or Jesus) should lower the prior probability of the story, not raise it. In (C), Marshall differentiates between the Bert example and the NT one on several points, but these points give us no reason to prefer stories about NT miracles to the Bert story. For instance, the suppose the claim that "Miracles point to God; magic points elsewhere" is true. Does this then mean we should be more ready to believe in them? I don't really see why. I think (D) comes closest to being a rebuttal. There's a lot of stuff there, but the thrust of it seems to be that Law needs to propose some consistent alternative mechanism by which people come to tell the Bert story or the Jesus story. I'm not sure Law should accept that: if he has decided the story is probably false, he can conclude that there is some set of false-belief-producing mechanisms at work, and he then claims (and attempts to argue in the rest of the paper) that these should taint the mundane parts of the story. It's this claim that I think could do with further scrutiny though: without knowing what the mechanism is, how to we know it taints the rest of the story? (F) is another failed argument, since it presumes that miraculous stories where the tellers have "changed their lives in concrete and positive ways" are significantly more likely to be true than those told by "kooks". I see no reason why a sincere false belief could not change someone's life for the better. Paul: Your confusion is, indeed, evident at several points. I will endevour, here and on Law's blog, to lessen it, if possible. First, and maybe this is partly my fault, you badly misread (B). My point, in essence, is that Law equivocates. What he calls "extaordinary claims" in one case (Bert's Excellent Adventures) are completely unlike the "extraordinary claims" he is trying, by analogy, to refute (the miracles of Jesus). And are you really claiming that a particular act by a person who is situated in history and described in credible biographical detail, is less believable than the same act by a "person" who exists in a complete historical vacuum? This apparent suggestion does, indeed, suggest confusion on your part. (C) Also, are you really claiming that an act that has a coherent explanation, is no more plausible than one that does not? Are you claiming that an action that is meaningful, like healing the sick, is no more plausible than an action that is meaningless, like flying around a flat in Oxford by flapping your arms after dinner? It seems clear to me that both differences favor "miracles" over "magic," in terms of believability. But I don't need to prove this, to show that Law's argument fails. All I need to show, is that his analogy is a false one, because it does not take important differences between the two kinds of "extraordinary claims" into account. Hearing no real objections, I think we can consider that point settled. (E) Law begins by citing Hume, and suggesting that he will extend an argument that, he implies, was highly successful. At the very least, he ought to make it clear that the status of Hume's argument remains in doubt. (F) is not an argument, it is a claim, followed by a question. I hope that clears up some of the confusion. So liberal Jesus "made few austentatious claims about himself." But did he have spell-check? To paraphrase Mr Law, where rebuttals weave together a narrative that combines austentatious [sic] claims with a significant proportion of spelling errors, then there is good reason to be sceptical about the rebuttal itself. Carbon-Dated: This is a blog, not the Oxforde Get-Thee-a-Lyfe-Trollers Editione Dictionary. I am a writer, not your competitor in a Grade 3 Spelling B. Well, you've accomplished one thing, anyway -- you've caused me to look at Squirrel and Paul's arguments with fresh respect. I also posted this in the comments on Law's blog. What he calls "extaordinary claims" in one case (Bert's Excellent Adventures) are completely unlike the "extraordinary claims" he is trying, by analogy, to refute (the miracles of Jesus). Well, clearly they aren't alike in a bunch of ways, but I'm not seeing the distinction that makes Law's thought experiment invalid as an analogy for the miracles of Jesus. In particular, the ones you've mentioned do not serve to the miracles of Jesus less "extraordinary" (and thus mean that P1 does not apply i.e. that premise 2 in Laws "skeptical argument" section is false, which is what I think you want to argue). And are you really claiming that a particular act by a person who is situated in history and described in credible biographical detail, is less believable than the same act by a "person" who exists in a complete historical vacuum? Yes, for P1: if Bert were well known to me and I heard reports of him doing these things, I still wouldn't believe them, though I would obviously think Bert existed (but note this doesn't invalidate P2 as I'd then have the evidence of Bert's existence independently). "What if this person Bert who rose from the dead in your friend's living room, were instead an innocent child killed by a stray bullet in a gang war, whose grief-stricken grandmother were praying frantically for him? Would that put Bert's resurrection in a different light?" "There is nothing dignified about Bert's performance. But there is dignity in everything Jesus does in the Gospels, including in his miracles." Why does this mean they are more likely to be accurate reports? Are you claiming that an action that is meaningful, like healing the sick, is no more plausible than an action that is meaningless, like flying around a flat in Oxford by flapping your arms after dinner? Yes. "Meaningfulness" is not good evidence of truth: people can write satisfying, uplifting and false stories. are you really claiming that an act that has a coherent explanation, is no more plausible than one that does not? "According to the New Testament, God raised Jesus from the dead." Either "God did X" is something we can tag on to any unlikely claim to make it more likely, or you have some reason for supposing that God would do X rather than say, Y (neglecting the question of whether God exists in the first place). But you haven't said what that evidence is, other than that the New Testament says so, which is no good, because the reliability of the New Testament is the thing at issue, so you can't assume it in proving it. So I don't think that this is in fact a coherent explanation. All I need to show, is that his analogy is a false one, because it does not take important differences between the two kinds of "extraordinary claims" into account. You have not shown how the differences are relevant to Law's argument. For them to be so, there'd need to be some reason why we should be more ready to believe the claims about Jesus than the claims about Bert: it's not enough merely to say that the Jesus story is a better narrative. (E) again: Law's argument is not Hume's. What specific premise of Law's argument is invalidated by an argument against Hume? What do you think of this story? A few years after his death the Emperor Nero was miraculously restored to life. He gathered an army of followers and established himself on the island of Cythnus. News of his return to life caused a panic through the empire and a fleet of ships was sent to Cythnus to confront the risen Nero. In fact, this is almost a true story. Anon: I'm not sure what your point is. Maybe you can explain? "mechanistic manipulation of the impersonal." I agree with these differences between magic and miracle, and add a few more, above. Obviously, the differences scholars of religion describe, are enormously relevant to the credibility of an event. If Law chooses to ignore the distinction between magic and miracle, he takes upon himself the burden of the doubt for showing that the differences do not matter. Those differences would seem to matter a great deal. Obviously, it is very different to say, "Jesus fed the hungry by the power of God," and "Bert flapped his wings and flew around the room." I've explained some of those differences: it is not up to me to prove that they are fatal to Law's argument, it is up to Law (since he has ignored them) to show that they aren't. Even atheists often admit the relevance of the differences you question, by (incorrectly) complaining that miracles are "arbitrary." What does that mean? It means they recognize that a supernatural act that has no explanation, meaning, or sense, is intrinsically less plausible than one that does have an explanation, meaning, and sense. This is intuitively obvious, and goes to the heart of what it means to explain something. Simplicity and coherence are axiomatically important elements in any explanation. The reliability of the NT (which is, of course, not one single document) is NOT the question at issue here: the question at issue is Dr. Law's argument against the historical records found in the NT. The records themselves are the raw historical data. As Bauckham points out, you have to have a REASON to dismiss them, which Law is attempting (unsuccessfully) to give. David, sorry for being cryptic. The story about Nero is true except for one detail: the risen Nero was actually a Nero impersonator. Someone pretending to be Nero was able to raise an army of followers and as a result the belief that Nero was alive spread through the empire. Stephen Law talked about fiction-producing mechanisms. The story about Nero is an example of the power of these mechanisms. Consider another example: after the Second World War it was widely believed that Hitler hadn't actually died. This belief was based on the fact that there was a mystery over what happened to Hitler's body and that many people claimed to have seen him after his alleged death. Given these examples, I think it is entirely possible for a false belief in Jesus' resurrection to arise. Anon: I think we'd have to see the original sources for these claims to evaluate their historical strength. I wonder if you notice a common running thread through your entire argument (B-F)? B1) A believable personality is missing, and thus the story is unbelievable. Provide a believable personality, rich with detail, and the story becomes believable. B2) The claim of frivolousness speaks to the need for rich detail, and believability of the personality rather than the facts surrounding them. B3) Of course the whole point of the miracle claims is that they don’t have an explanation, either. If they did, they wouldn’t be miracles, by definition. Notice, though, that it is the force and power of the Jesus personality that makes the subsequent miracle claims about him believable. C) To reinforce the point that the difference is whether or not a believable personality is involved, let’s note that all of your examples regarding miracles vs. magic are the difference between taking a person seriously, and not. C1) "Miracles ask to be verified; magic insults the intelligence." Some very intelligent people have been mystified by magic, and likewise miracles. WLC builds a plausible sounding narrative that helps sway the neutral observer to his debates, but there is far too much in WLC’s presentations for the neutral observer to verify, which says something about the nature of belief in miracles. WLC’s “logical arguments”, of which the argument for the truth of the resurrection is one, rely on his own personal belief in Jesus, and without which they crumble like a house of cards (this is despite his dubious tactic of always presenting that “proof” last, implying that it is contingent on the preceding arguments, rather than the other way around). WLC is on record as having said he would believe in the face of strong contravening evidence, and just assume that eventually the evidence would come back around to supporting him. This is solipsism writ large. C2) "Miracles tend to be practical; magic is often showy." The resurrection is the ultimate in showy abridgements of the natural order. It is intended to prove that Jesus was the son of God. Making non-belief a non-option. So it is practical only in the sense that it is supposed to make belief in Jesus, thus God, a fait accompli, but it is certainly showy. C3) "Miracles enhance human dignity; magic makes us more or less than human." Doesn’t enhancing human dignity, and by establishing a link to God, no less, make the subject of that miracle more than human? Indeed, isn’t Jesus supposed to be more than human? Isn’t that rather the point? C4) "Miracles point to God; magic points elsewhere." Only if you believe in God, otherwise miracle claims are indistinguishable from magical claims… though, on closer reading, it seems that the difference for you s that magic is impersonal, where miracles are personal, so we get back to B1 , the requirement of personality. D) You head this section, Incoherence in Cause and Effect. Isn’t that the definition of a miracle? So using it as an argument against Law’s argument makes little sense. You unwittingly illustrate just exactly how a miracle claim might come about when you approach the LSD claim for Ted and Sarah. If Bert was Ted and Sarah’s friend, who turns up with LSD, and takes them through a programmed trip after a nice meal, wouldn’t Ted and Sarah discuss their respective experiences after the fact? Wouldn’t they then attempt to harmonise those accounts in order to make sense of them? That is, after all, what humans (aka the story-telling ape) do. People who take LSD often speak of being more connected, and everything seeming more real, more vivid, more clear. So even knowing that they had taken LSD might not dissuade them from believing that their experiences, of which Stephen was given a harmonised account, was true. As to the daytime TV hypothesis, you do yourself a disservice with this petty nitpicking. If someone is making a claim such that they might get on daytime TV, the fact of having also told Stephen is incidental, not causal. So, to the substance of this point, you consider Law’s parallel to be weak, but the weakness is in the lack of human believability, in human personality, but in drawing a parallel that doesn’t have the human personality element clouding one’s judgment. You ask, why not analyze the Christian story directly? I rather think you’ve illustrated why. Because as soon as the personality of Christ appears in the story, the personality floods the critical faculties of those who are drawn to the story, and they no longer see the basic facts of the story in the proper light. You see the story of Ted and Sarah as patently absurd – this is how people who do not believe in Jesus see the Gospel account. So, in other words, it all comes down to stated priors when looking at miracles from a Christian perspective, as opposed to non-Christian or explicitly atheist point of view. Stalemate. But these stated priors on the debate seem to shift towards being unstated priors when taking the Bayesian approach. So, has anyone had an experience of God or Jesus without first hearing of their existence from a believer? So, note the importance of personal testimony. Again, it is personality that plays the key role. Empiricism, when unaffected by testimony gives one result, but when affected by prior testimony, gives another (see also Victor Reppert, 1998). 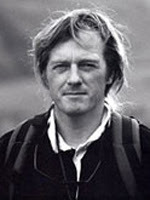 Owen, D. (1987). Hume versus Price on miracles and prior probabilities: testimony and the Bayesian calculation. The Philosophical Quarterly (1950-), 37(147), 187-202. Dawid, P., & Gillies, D. (1989). A Bayesian analysis of Hume's argument concerning miracles. The Philosophical Quarterly (1950-), 39(154), 57-65. F) Here I will quote you in full. If they are not, then how are they miracles? Presumably because birds of a feather flock together. Why would someone recount a personal story with features that they know to be miraculous to someone who is a known sceptic? They want to be reinforced in those beliefs, so they speak to people who give credit to miracles claims. That’s a fairly un-miraculous statement about human nature. This is an appeal to consequences. Ted and Sarah probably have a stronger relationship having harmonized their stories about Bert, too. 2) a category mistake: emotions, such as grief, a fact of the social environment, cannot trump or overpower death, a fact of the general environment in which the social environment is contained. In other words, if you engage theory of mind and treat the facts in an anthropomorphic way, you see God, and the “truth” of Jesus. If you see the facts in a non-anthropomorphic way, you do not. Whilst the claims about Jesus are about a person, they are nevertheless claims about physics and the world. If you suspend physics in order to deal with the person, you believe in miracles; if you deal with the miracle claims of the person, whilst also maintaining an idea about physical reality, you do not. This is an issue of the narrative you use to understand the world, and miracles are, quite literally, deus ex machina. Coexistential: You're obviously an intelligent, well-read and thoughtful person, but I get a bit of a feeling that you're using some of that intelligence to block understanding, to make work, rather than tear down barriers to fuller comprehension. No, the definition of "miracles" emphatically is not "that they don’t have an explanation," neither is that their "point." Neither is it "Incoherence between cause and effect." Miracles are "signs" (semeyon) which point to God's working in the world. They need not, then, be as rare as, saying, brown polar bears, or black swans. God is the cause. Miraculous healing, or provision, or overcoming of natural forces, or a resurrection, is the effect, as, in the long run, is the universe itself. Let me just turn your accusation re the Parable of Bert around on you. The only reason Law, or his fans, could possibly not see the plain and obvious fact that the meaningless, genuinely causeless, unprecedented,unevidenced, nonsensical, and patently invented Law parable is no kind of parallel at all to the gospel stories, lies in their own cognitive biases, and is evidence of those biases. The differences are obvious, and I describe them above. It's amazing so famous a philosopher couldn't come up or make up a closer parallel,even to illustrate a story. Compare that, for instance, to the meaningful, caused, precedented, evidenced, reasonable, and patently historical story of Jesus healing the 12 year old girl, which wreaks of authenticity on numerous levels. Law discredits his good sense by offering such a far-fetched analogy. And it is not just me alone who recognizes that. Read AN Wilson's Jesus, a Life, written when he saw himself as an atheist. Most of the miracles in the gospels are clearly compelling historically in numerous obvious ways that Law's parable is the inverse of compelling. To answer your question (though you do not wait for an answer), yes, I meet people pretty often who have witnessed miracles without expecting them, and converted against their wishes or plans. Your reply to my claim that miracles "don't seem to be" so rare, is that "birds of a feather flock together?" Oh, come on. I've met hundreds of people who claim such experiences. I have lived my life in broad circles, in many countries, among people of many languages and cultures. I have certainly met far more people who claim to have experienced miracles, than claim to have experienced murders. I wouldn't call murder that rare, or the claim that one occurred, so extraordinary. I suspect like Hume, you're begging the question. The difference between us certainly is about facts and stories, as I show above, and you do not refute. The stories are vastly and multiply dissimilar, personality constituting only a small part of that dissimilarity. No need to beat a dead horse, though.